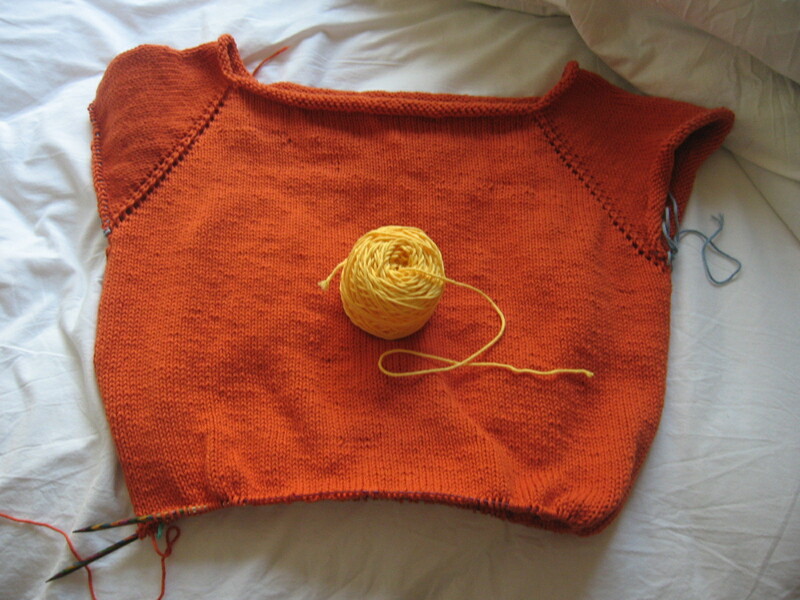 If I’m knitting from the top down, do I read a chart from the top down? 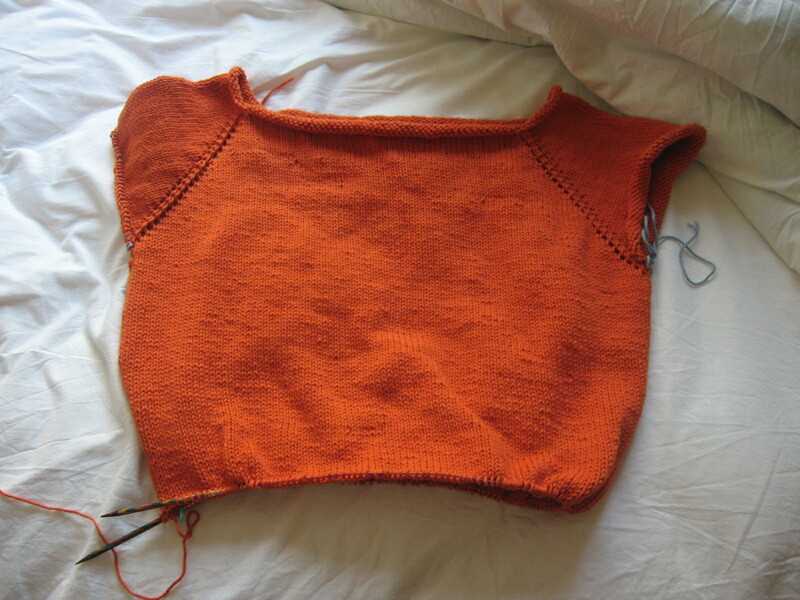 I’m approaching the lace part of the ribbing of my Bad Penny, and I’m just wondering about the chart. I don’t want to mess it up. First of all! SOCKS! Well, sock. Singular. Only one right now. 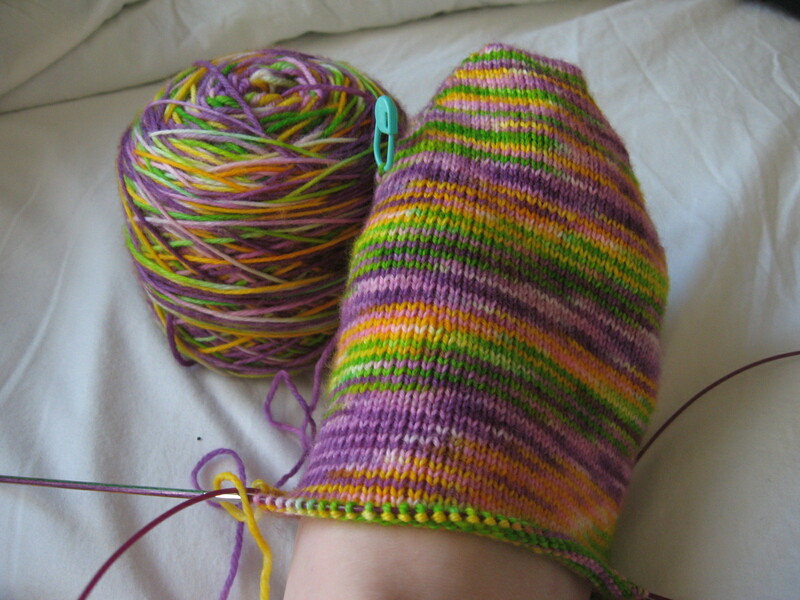 On Ravelry, they’re called “laissez les SOCKS rouler.” I think I am SO clever. 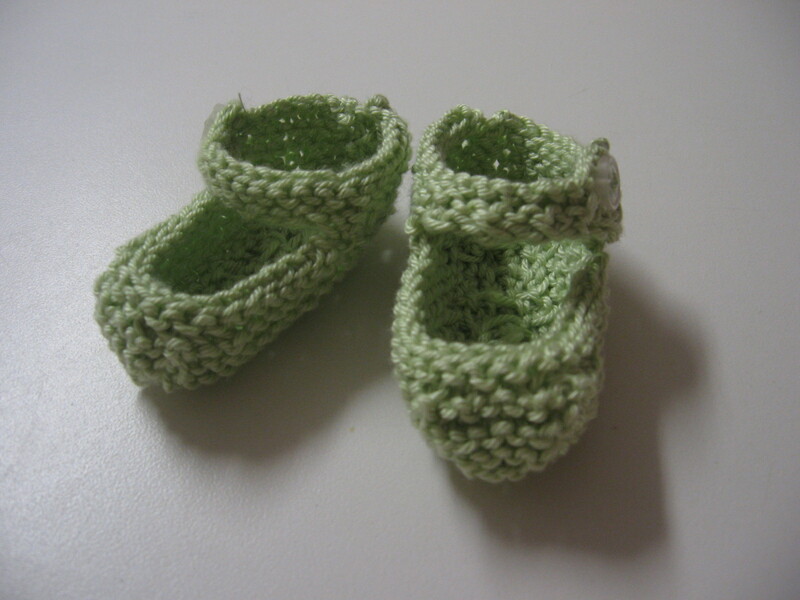 I did the toe on two DPNs, and when my Knit Picks order came (which I will talk about later!) I switched to my Magic Loop needles. I LOVE MAGIC LOOP. I am NEVER doing anything on DPNs again. It is going to be so awesome! The yellow is going to look great, and it’ll be an excellent representation of my personality. Me, in solid colors. Instead of my usual spastic amounts of colors. Now, My Knit Picks order! 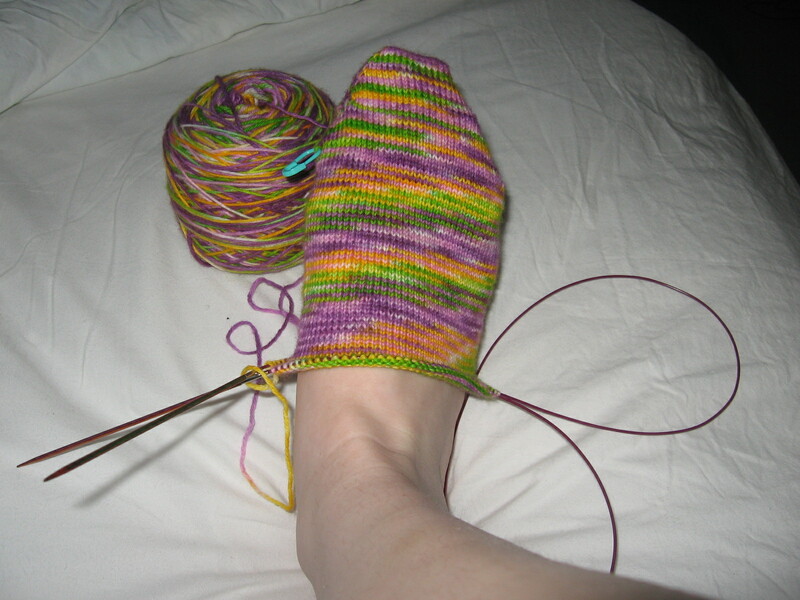 It came on Friday, which was AWESOME, because I had started the toe of the Mardi Gras sock on Wednesday. 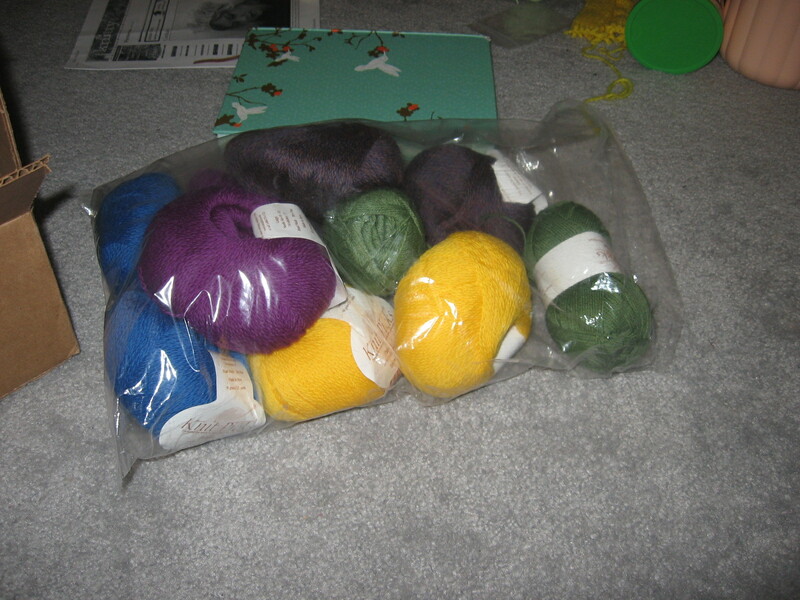 Yarn stats first: I got 4 (2 of each) colors of Palette, and one of Essential. 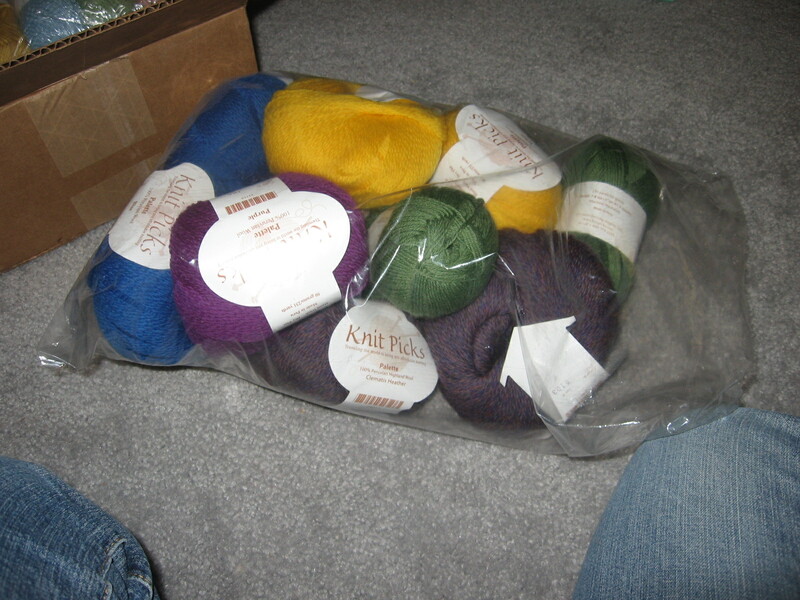 2 of the Palettes will turn into socks for KK and Rachel, and the rest of the sock yarn is for me. I want to use them to do more complicated patterns, not just straight stockinette. Here’s the sock yarn! And I also got the Georgian cotton sampler. 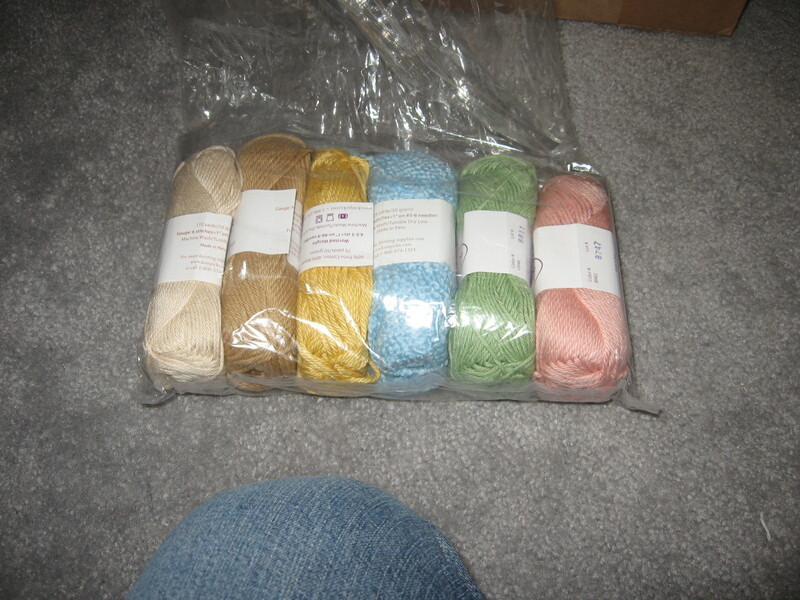 The yarn itself looks great, I’m not too impressed with the patterns that came with it, but we’ll see. 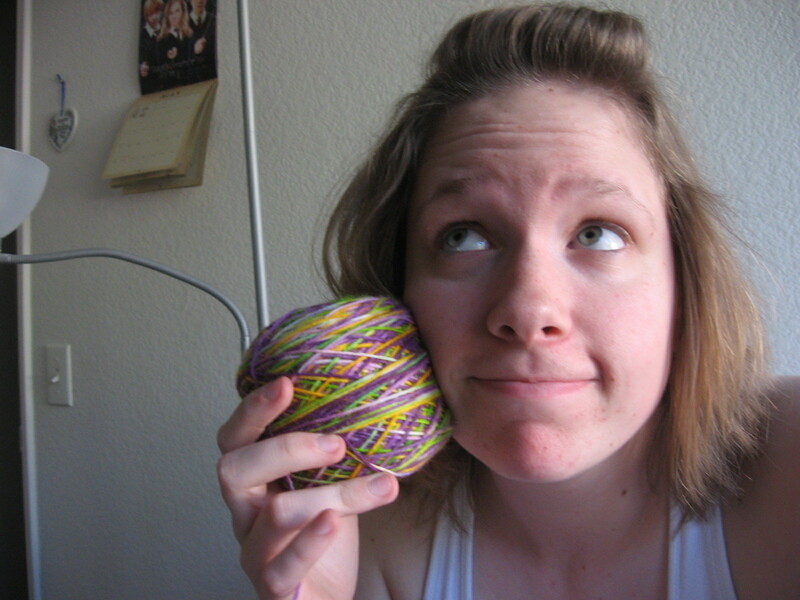 The colors are also more pastel than I usually like, but I really picked it for the yellow ball of Shine Worsted. 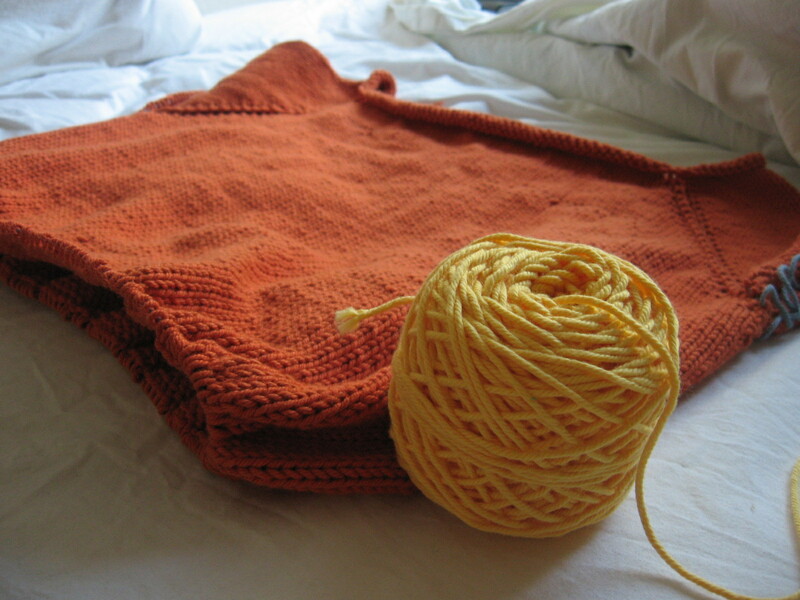 I really like knitting with cotton, so it’ll be really nice to see how these yarns knit up. That is that. Wow, that was really long, I felt. YAY! My Knit Picks order shipped! It shipped on 4/24, so I should be getting it next week. I got it shipped to school, so I can open it and fondle the yarn right away. (And it won’t be sitting on my doorstep for an entire afternoon.) I AM VERY EXCITED. I can’t wait for all that sock yarn and the cotton sampler to arrive! 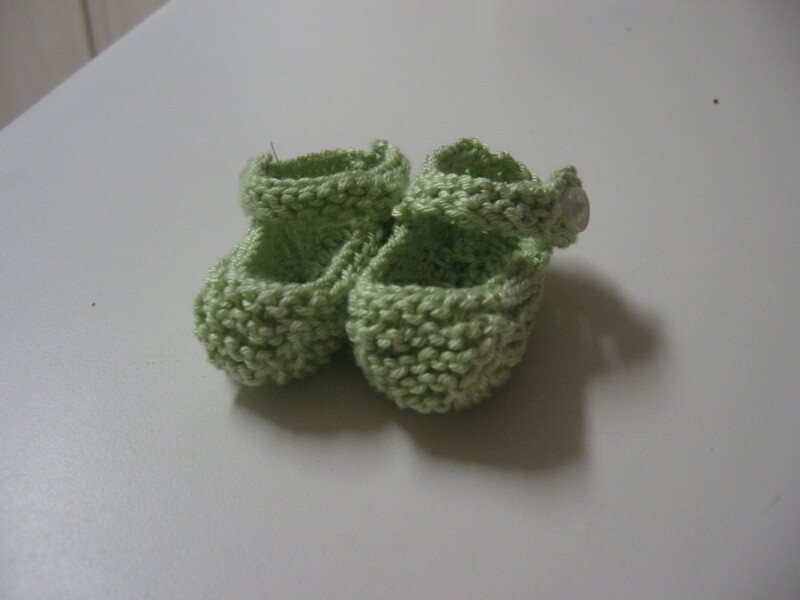 I made these baby booties last night. Another teacher at my school is pregnant, and her baby shower is on Wednesday. I had some Patons Grace lying around in a mint green, and decided I couldn’t go wrong with a gender-neutral color like that. Comments: SO CUTE! I wouldn’t change anything. 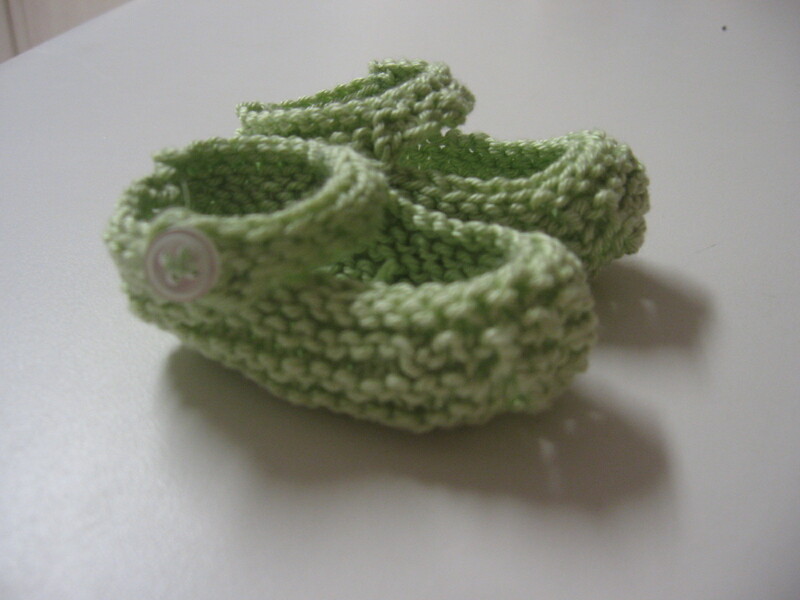 I might even make another pair for Harrison, Jessica’s nephew. 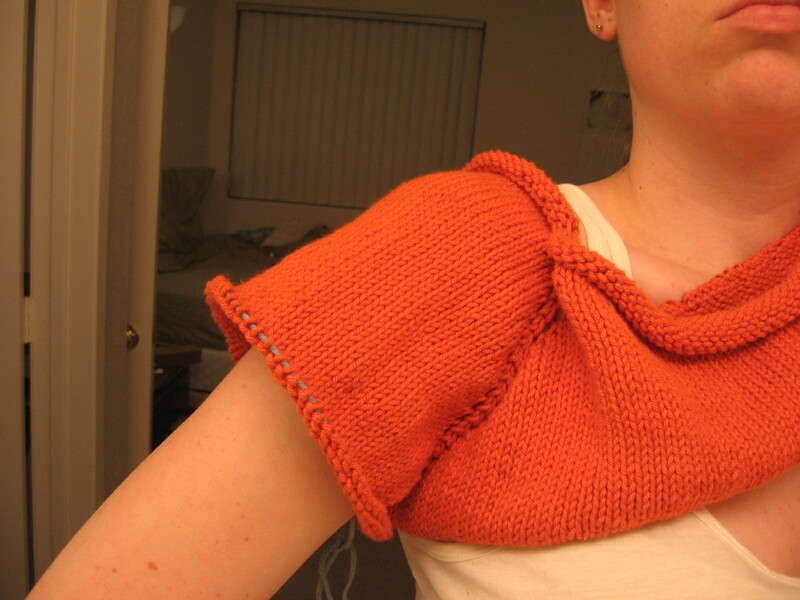 So simple, I made them in about two hours total, including seaming and butting the buttons on. ALSO! 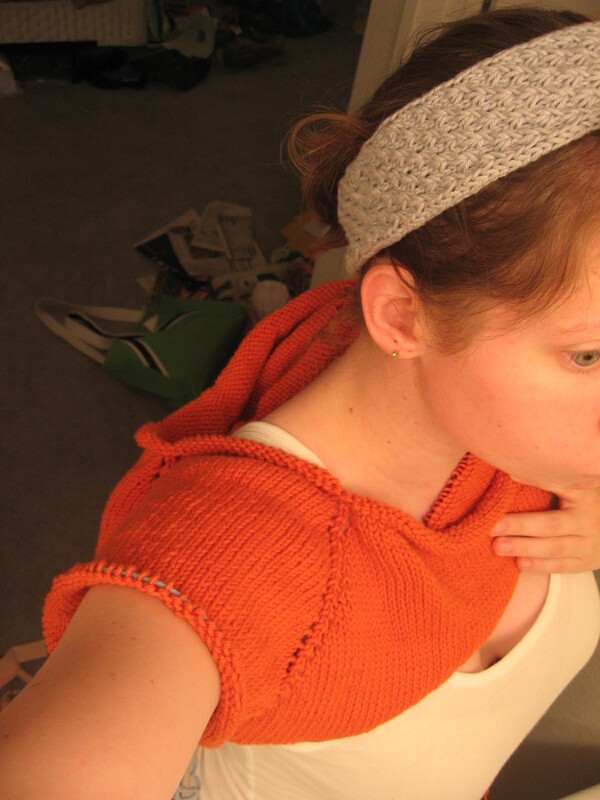 I started Bad Penny, with the Debbie Bliss Cotton DK that Dani gave me. I’m very excited about it! The majority of it will be the orange, and my mom bought me 6 balls of the same yarn in yellow to use for the contrasting color! I’m real lucky to have a mom who supports my yarn habit/addiction. Hey, at least I’m not addicted to drugs or anything. WOO! I think the YO’s look good, for the most part. Some are wonky, but I have plans to fix that. I’m using a 32″ cable, and I can’t get it around my shoulders, so I had to ghetto-rig it to take pictures. 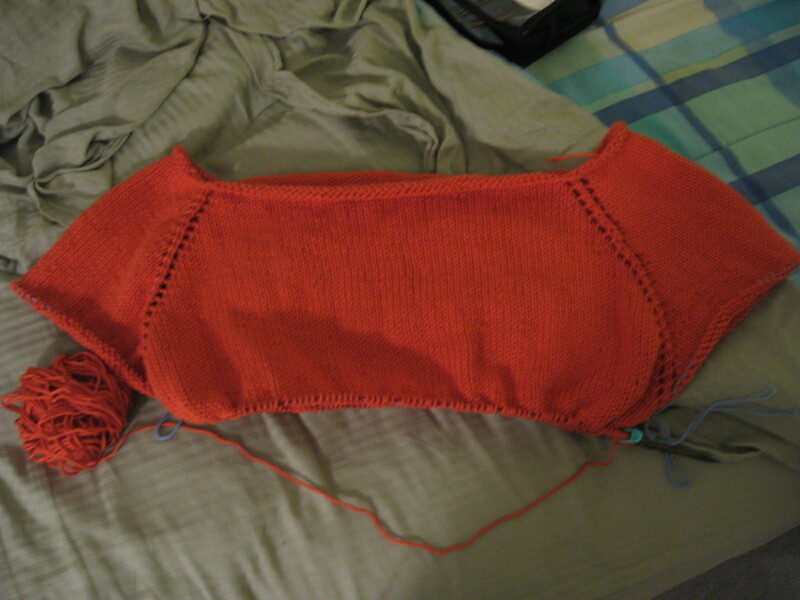 I’ve knit almost 5 balls of the orange and I’ve got 4 left. 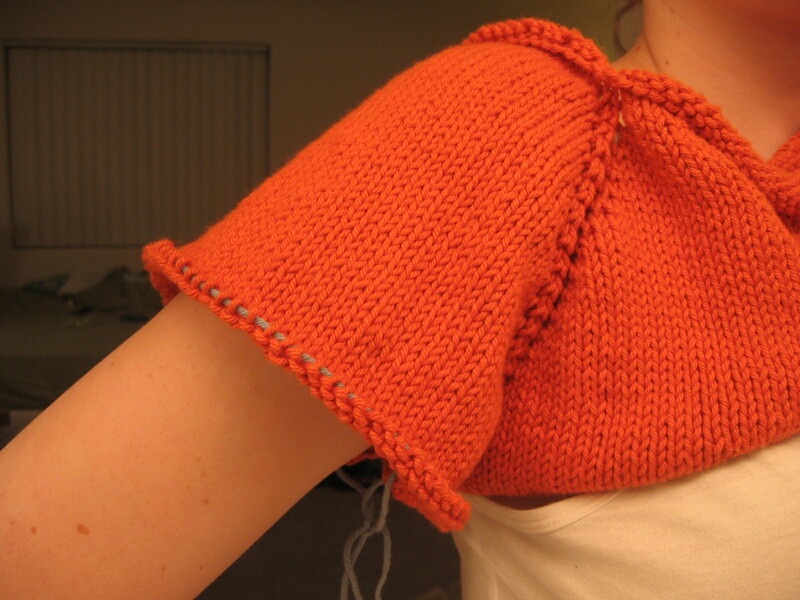 I plan on adding some waist shaping when I get to that point in the pattern, because every FO I looked at on Ravelry with this pattern mentioned something about not having waist shaping. We’ll see how it works out!